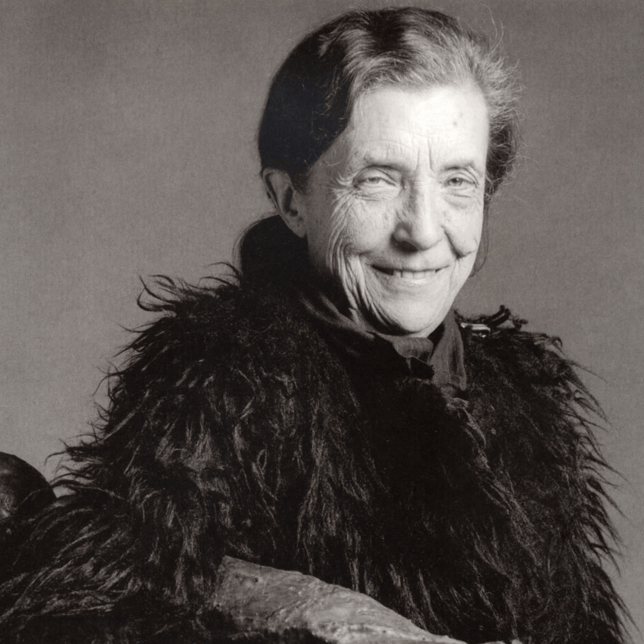 Louise Bourgeois was a French-American artist and sculptress. Her study geometry in particular contributed to her early cubist drawings. In her early years she studied at the École du Louvre and then at the École des Beaux Arts. She also worked as an assistant of Fernand Léger. In 1938 she moved with her American husband Robert Goldwater, an art historian, to New York where she continued her studies at the renowned Art Students League of New York. Louise Bourgeois started exhibiting from 1947 with sculptures and wooden figures. Soon one of her works was purchased by the Museum of Modern Art. Bourgeois received little attention during the fifties and sixties of the last century. Only in the seventies, she received the necessary recognition and she became a successful artist. In 1993 she represented the United States at the Venice Biennale. In 1999 she participated in the Melbourne International Biennial 1999. In the same year Bourgeois was chosen for the opening exhibition at the Turbine Hall of the Tate Modern in London. The "Maman" sculpture was later reinstated in Ottawa, Canada where the spider image can still be admired at the entrance to the National Gallery of Canada.